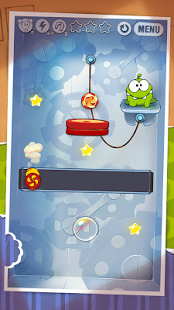 Cut the Rope HD is ad-free and supports high resolution for an optimal gaming experience. Eager to learn more about Om Nom’s adventures? Watch “Om Nom Stories” cartoons and other amazing videos on our YouTube channel! Ca-chunk! Meet the meanest box of them all, the Mechanical Box! It brings the new conveyor element and 25 fresh brain-racking levels!